May is a marvellous month – not only does it shower us with beautiful blossoms and, hopefully, spring sunshine, it also grants us TWO bank holiday Mondays to enjoy! So if you’re at a loose end over the Spring Bank Holiday weekend (May 26-28), Towpath Talk has the ideal place for boaters to spend some time relaxing. Pick up the May issue, out now, and you can find out all about the amazing annual Crick Boat Show, one of the highlights of the inland waterways calendar. There’s a four-page wraparound containing everything you need to know about the show, which features 300 camping pitches if you’d like to go along and stay for the long weekend. The main magazine features plenty of news, views and images from across the canals and waterways of the UK. There’s news of the continuing restoration and development of the Montgomery Canal, so beloved of our inimitable boat horse Cracker, whose opinions are again freely expressed within the newspaper! Forthcoming events are given due prominence too, with outdoor festivals, theatre shows, work parties and other opportunities to get involved highlighted. There’s a new feature, Pets on the cut, in which Alison Wilkerson meets two canal-capering canines in the first of her meetings with the companions of two-legged boat dwellers. 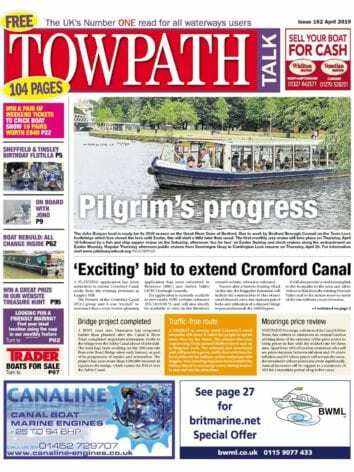 There are safety tips, gardening hints and a recipe to try out, and if you’ve been bitten by the boating bug but haven’t yet dipped your toe into the ownership waters, there are boats galore inside the latest issue of Towpath Talk to browse. 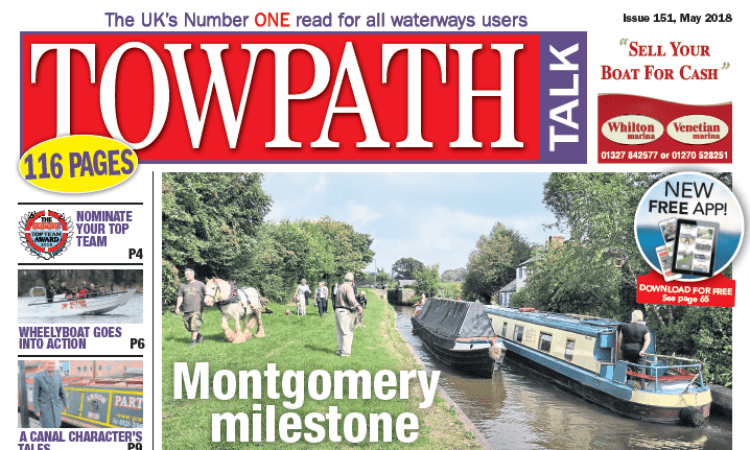 You can subscribe to Towpath Talk for just £11.99 per year by calling 01507 529529, or if you prefer you can visit www.classicmagazines.co.uk, should you not be able to pick up a copy at chandleries or boat yards in your area.